The MDU's Dr Claire Wratten, explains how the MDU has defended GP members from clinical negligence claims, including an alleged delayed diagnosis and a high value claim. Every year the MDU publishes its annual Cautionary Tales, which highlights the often difficult situations doctors can be placed in as a result of clinical negligence claims and how the MDU assisted those who are affected. Below are two examples. The MDU is a non-profit organisation, which provides expert guidance and support to members who encounter difficult circumstances. This resulted in no compensation payments being made in over 80% of medical claims against our members which closed in 2017. A man brought a case against a MDU GP member for an alleged failure to refer him for suspected testicular cancer, resulting in him requiring radiotherapy. The patient visited his GP with pain in his right loin radiating to the groin. The previous day he had attended an out-of-hours service, where he was diagnosed with ureteric colic and prescribed ibuprofen. The GP examined the patient and noted tenderness over the right renal angle and right iliac fossa, performed a urine dipstick test which revealed evidence of blood and ketones, and then referred the patient to the local hospital’s surgical team. The patient attended A&E and was diagnosed with suspected renal colic and prescribed analgesia. Three weeks later, the patient returned, stating that he had right testicular pain associated with swelling in the scrotum that had been present for two and a half weeks. The GP performed an examination and was unable to palpate the right epididymis because of the patient’s pain. 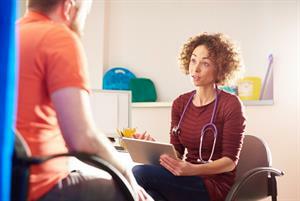 The GP made a suspected diagnosis of epididymitis and prescribed antibiotics, advised the patient to rest and use scrotal support and to return two weeks later if he was no better. The patient did not seek any medical advice for 18 months, when he then consulted with a different GP reporting a swollen right testicle. The patient was referred for an urgent ultrasound scan of his testis, which reported right sided testicular malignancy. He then underwent a right inguinal orchidectomy and several sessions of radiotherapy. Three years after the initial consultation, the patient served court proceedings against the GP stating that the GP had misdiagnosed epididymitis and should have attempted transillumination of the patient’s scrotal swelling, as well as referring him for an urgent ultrasound scan. The claim also alleged that if the patient had been referred, the testicular tumour would have been identified and the patient would have avoided radiotherapy and the subsequent side-effects. The MDU represented the member and obtained independent expert evidence from a GP as well as an oncologist. 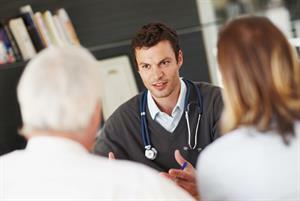 The GP expert advised that the diagnosis of epididymitis was reasonable. The oncology expert advised that earlier diagnosis would have meant that the patient would not have required radiotherapy. Following this evidence, the MDU served a defence denying liability and made an offer for the claim to be discontinued on the basis of each party bearing their own costs, but this was not accepted. Consequently, the MDU solicitor wrote to the patient’s solicitors stating the weaknesses of the case and that the MDU were prepared to defend the case at trial if necessary. The patient discontinued the claim and the MDU recovered the costs of defending the MDU member. As a mutual organisation this is both important and beneficial for our members. The MDU defended a GP in a high value case regarding an alleged failure to refer to hospital for suspected endocarditis, resulting in the patient suffering an acute ischaemic stroke several weeks later. The patient had a history of aortic stenosis and an aortic valve replacement, and saw the GP member with a six-month history of cough, malaise and feeling 'out of sorts'. A blood test revealed higher than usual CRP and ESR readings, as well as a mildly elevated neutrophil count; a chest X-ray was reported as clear. A week prior to this consultation, the patient had been seen at a walk in centre and noted to have an intermittent tachycardia, but this had resolved. The results were reviewed by the GP, who asked the patient to come in for a routine appointment in order to further investigate the raised inflammatory markers. At this appointment the patient was seen by a different GP, who asked for more tests with a view to excluding early inflammatory arthritis. The second set of blood tests was reported as essentially normal. The second GP discussed the test results with the patient at another review, where the patient was noted to have been pyrexial the evening before, following an influenza vaccination the previous week. The patient complained of coughing, aches and pains, but on examination their temperature was normal. The second GP prescribed antibiotics and advised the patient the recent blood tests were essentially normal. Shortly after this consultation the patient suffered a stroke and was admitted to hospital, with a history of being unwell for one to two months with non-specific malaise and lethargy. The hospital made a diagnosis of endocarditis and a CT brain scan showed a large area of infarction. 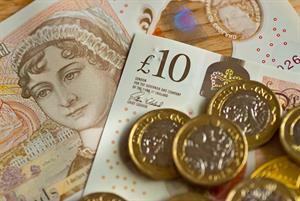 The patient brought a claim against the MDU GP member, seeking over £1m in damages. The allegation was that, on reviewing the results from the initial consultation, no competent GP would have failed to be concerned that the patient could have a serious illness, especially taking into account the patient's past history of an aortic valve replacement. In view of the patient's symptoms and history of fever and tachycardia, it was argued that no reasonably competent GP would have failed to consider infective endocarditis as part of the differential diagnosis, and that a review of the raised inflammatory markers should have led to a referral to hospital to check for infective endocarditis. The MDU defended the member throughout the claim and the case was heard at trial. The judge described the member as an impressive witness, who considered their answers and came across as a careful and conscientious clinician. The member said that while infective endocarditis was part of their differential diagnosis, from a long list of potential conditions, there were no cardinal signs such as persistent fever, night sweats, weight loss, tachycardia or a heart murmur. Having considered the blood test results, the raised inflammatory markers could have been due to a variety of possible causes. The member believed that the patient's condition needed further clarification and assessment, and that the raised CRP and ESR were not in themselves significant, given that the patient had also recently suffered from diverticulitis and a possible urine infection. 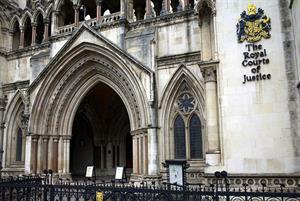 The judge held that given the mortality and morbidity risks of infective endocarditis, if there were reasonable grounds to suspect it in a patient with a prosthetic valve, a GP would be falling below the standards of a competent doctor if they failed to refer that patient to hospital. However, the judge also said that there was very little to suggest that the complaints were due to infective endocarditis at the patient's first consultation. The blood test result showed non-specific inflammatory markers that needed further investigation, and the member put this in place by arranging a further appointment. The judge concluded that when reviewing the blood test results, the MDU member did have infective endocarditis in mind as a possible, if unlikely, diagnosis. 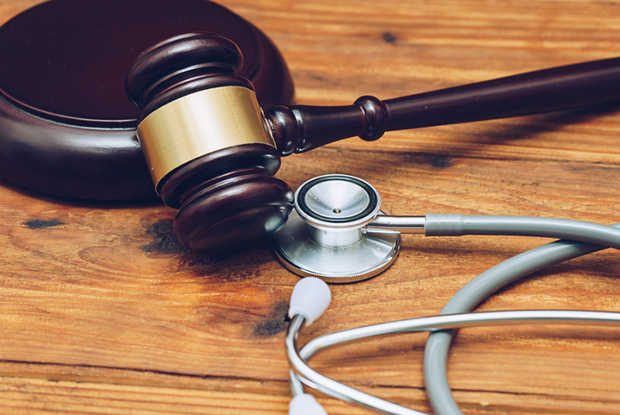 The response to direct another routine appointment rather than immediate admission to hospital was deemed to be that of a competent GP, and judgment was made for the defendant. The MDU is committed to supporting its members with medico-legal issues they face in the line of their practice and as these cases indicate, it does not settle claims for expediency when a robust defence can be provided.